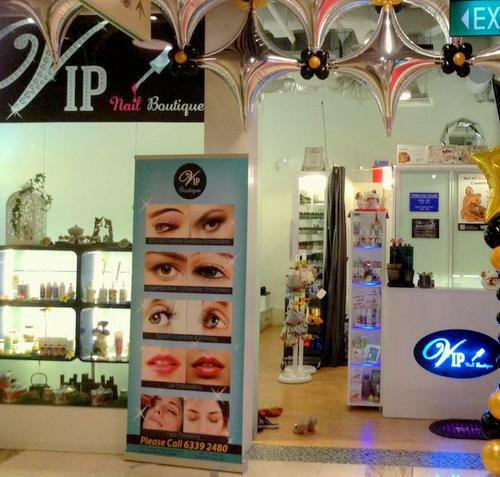 VIP Boutique nail & beauty salon has two locations in Singapore, one at Anchorpoint shopping centre (370 Alexandra Road) and another within Zhongshan Mall (20 Ah Hood Road). At VIP Boutique salons, you will be pampered and cared for by a team of highly trained manicurists and beauticians. The salons are a great choice whether you are there to beautify or strengthen your nails, soften your skin, or simply to relax and enjoy. For nail care, the salons’ aim is to provide a therapeutic approach, leaving you feeling joyful after each session. The salons’ use only the highest quality products, offering you a selection of more than 1500 gel and nail polish colours, a wide range of nail art designs & finishes for manicure and pedicure, plus a variety of other services such as Balinese organic spa, paraffin and waxing for hands and feet. The official VIP Boutique Facebook page is available at www.facebook.com/vipboutiquezsap/. Following the Facebook page, you’ll get updates about, for example, the latest nail art designs, the salon’s promotional offers, their events, and more.